These Arrogant birds are really angry with us, let’s cheer them up! 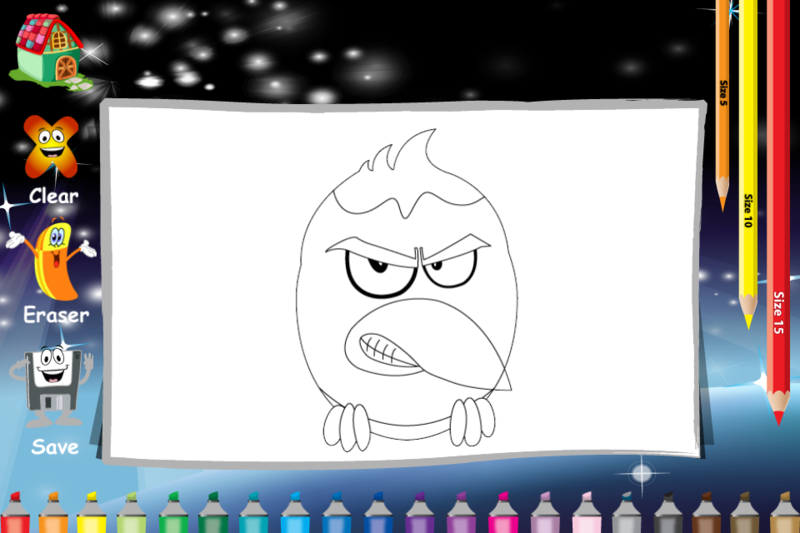 Blast away the monotony, and fill in the real colors in the Arrogant birds. Select a bird of your choice and ask your pre-school kid to color it up. 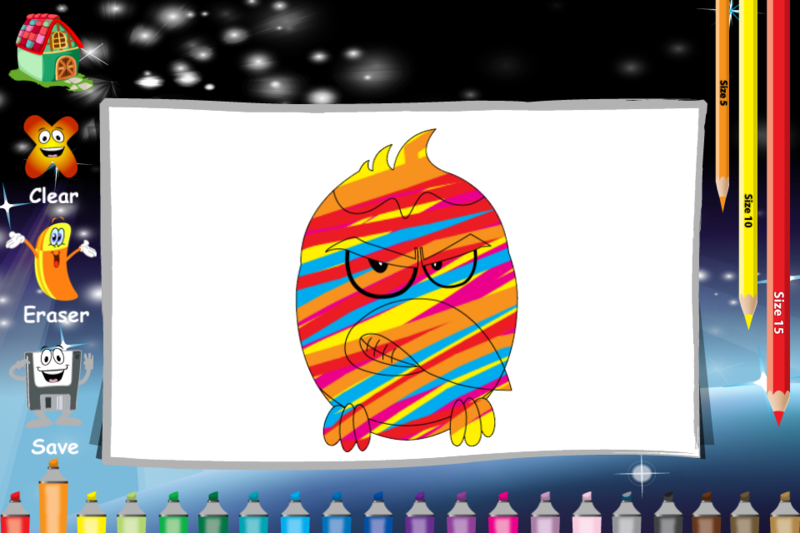 Coloring is no doubt a fun game for all the kids around. 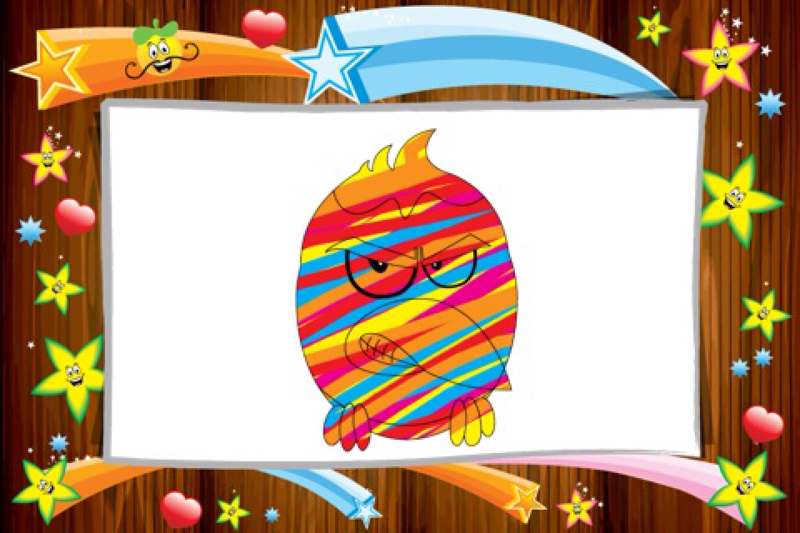 This app offers a varying range of colors and images to choose from. 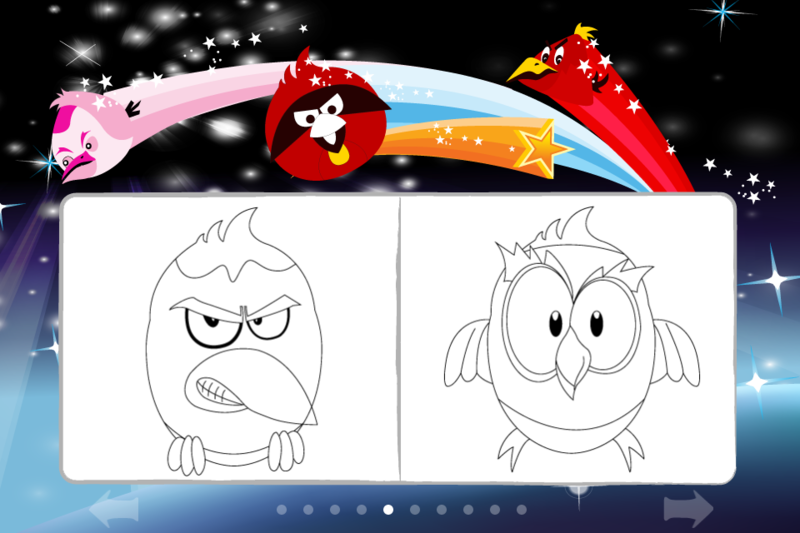 I wonder how these cute and tiny birds reached the far off planets, stars and galaxy. Let your child grow his creative instincts through this fun game with a multi color brushes and unique drawings. While your toddlers or pre-school kids are busy learning to paint the lovely sketches, you have the time for yourself. ‪We have replaced the old method of tap and paint; with the new and improved finger drawing technique. The bright colors and wonderful templates are also a source of entertainment for your babies and even your school going children. The color selection and the art of coloring with beautiful color play a distinct role in the development of cognitive, tactile and fine motor skills of your baby. • You have messed it up and don’t feel like erasing it all? Press CLEAR ALL and the app do the cleaning job itself. • Save picture to the gallery. ‪Yes this sounds real fun. Learn to color with us. This app features painting like the way your toddlers love. Painting is fun yet messy too. Why bundle up more work for you. Forget the real brushes and paints; skip the coloring book and drawing pads. We have a skillfully designed and complete coloring app prepared specially for your child that you can add up to the collection of your kids game. ‪This app is designed for baby, Toddlers and preschool kids who loves sketching, painting, coloring and drawing with many colors.